Choose our Moses Basket Flat Mattress Protector to maximize the lifespan of your mattress. Every moses basket mattress needs protection against liquids, stains and bacteria. 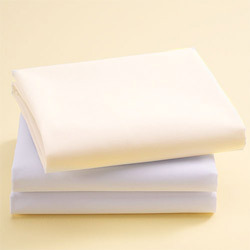 Our flat style mattress protector does the job, and makes for convenient washing. Our premium protector has a soft quilted outer layer and is backed in water-repellent vinyl.